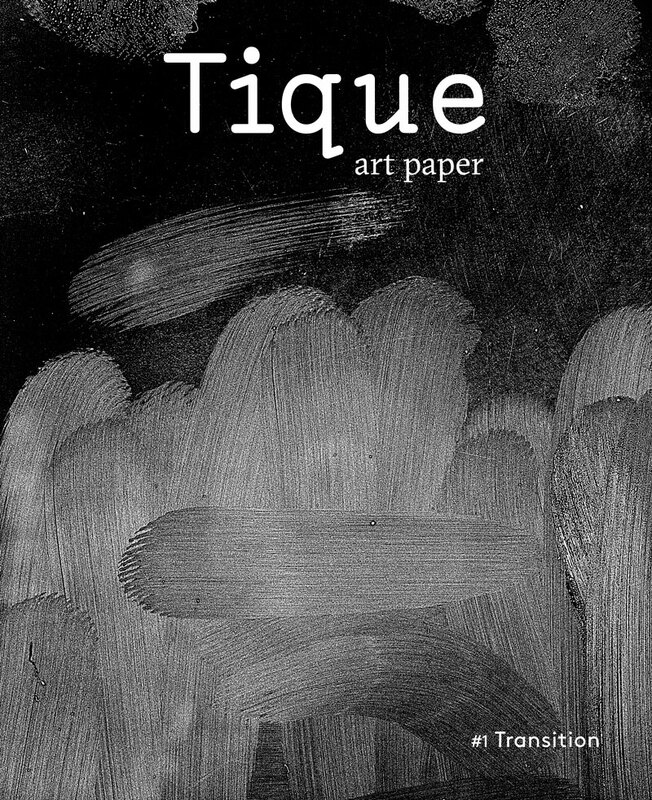 Tique | art paper is a magazine about visual art, both online and now also in print. It aims to inspire with curated content about artists, exhibitions and publications. It looks more deeply, with interviews, backgrounds and essays. The first issue, with the theme “Transition”, features pieces about Nel Aerts, Assemble, Fred Bervoets, Hou Chien Cheng, The Guerilla Girls, Haroon Gunn-Salie, Bouchra Khalili, Jos Jansen, Vedran Kopljar, Alicja Kwade, Caroline Mesquita, Josephine Pryde, Dries Segers, Yorgos Stamkopoulos, and Penelope Umbrico. Furthermore, there are articles on the Contemporary Art Museum in Estonia and the thriving art scene in Warsaw, as well as tips for remarkable artists, exhibitions and publications from art world professionals. Additionally, dispersed throughout the magazine, artists Karina Beumer, Romain Brunet, Katrien De Blauwer and Marina Richter provide unique artists editions.